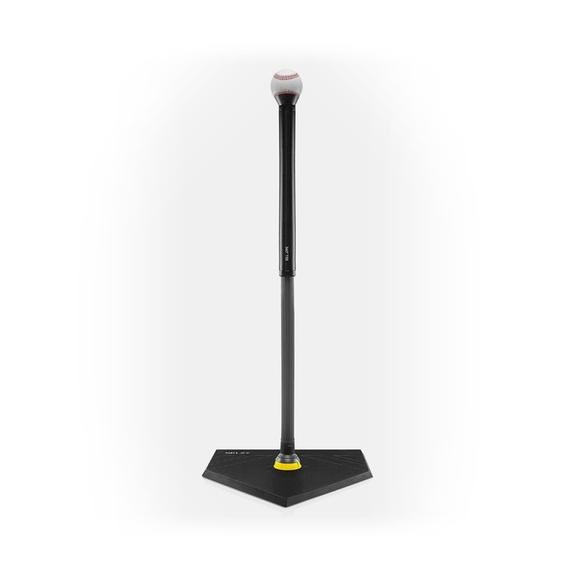 Sklz's 360° Tee builds confidence for hitting all types of pitches by adjusting the tee to a wide range of positions. The 360° tee promotes proper swing mechanics and body positioning. Promote proper swing mechanics and body positioning using the 360° Tee. It swivels to various pitch locations for full plate coverage. Practice hitting outside, middle, inside, high and low pitches. Sklz &apos;s 360° Tee builds confidence for hitting all types of pitches by adjusting the tee to a wide range of positions. The 360° tee promotes proper swing mechanics and body positioning. Promote proper swing mechanics and body positioning using the 360° Tee. It swivels to various pitch locations for full plate coverage. Practice hitting outside, middle, inside, high and low pitches. The slanted rubber cup is designed to hold the ball in place in any position.